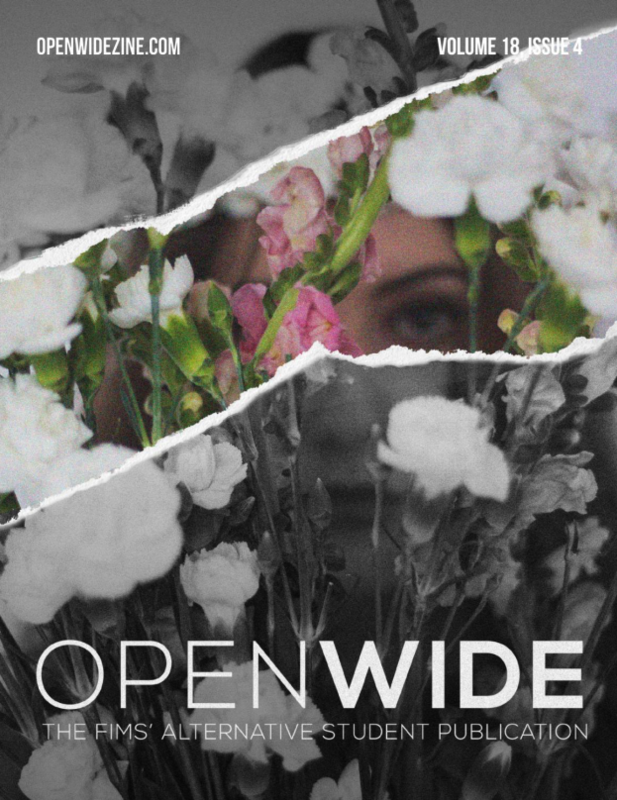 An abridged version of this interview by Brittany Tilstra, a fellow FIMS student, appeared in OPENWIDE Volume 16, Issue 3. *Throughout the interview Chakma handed me papers relating to some of my questions, links to the articles are included. B: What is your favourite childhood memory? C: I was just thinking how do we capture? Because there is so much memory. So I thought I would give you a little bit of a sense of where I come from [pulls out iPad to show a picture of the hills in Bangladesh]. I was born in the hilly parts of Bangladesh. There are hilly areas from Nepal to Tibet to Myanmar and they continue towards Vietnam. Along this mountain-hill ranges, lots of hill people live, so I come from one of those hill groups. British used to call us tribes, it can be quite common for people to say that I come from a hill tribe. My last name is one of the names of one of those tribes. If you are more interested just check it out on the web. So, these are the mountains [indicating photo] and in the valley, it’s like any valley. We used to live in the valleys, grow food and whatnot. The government decided to build a damn (there was a small river). As a result of the damn, it became an artificial lake. I was born when the lake did not exist, but as a little child I literally grew up with the lake. So the answer to your question, my fond memory would be… This is a beautiful area, population is very small then, the whole extended village-town would have a population of 5000; it was so-called “District Headquarters”. It’s not a village in the sense of a typical village and the whole thing was pristine. It would be like living in one of the national parks; Algonquin Park, Banff National Park. The memory I have, vivid memory actually, is that I was able to jump into the lake. You know, catch fish. I’d go into the hills, go into the mountains, pick up edible fruits and vegetables and eat them. The kind of memories that sort of stay with you… And then, what happens when I go back now, it is no longer as beautiful as it was. Deforestation… So my memory goes back, 35 years back. I’m devastated every time I go there. B: Do you go back home often? B: Do you enjoy the snow? C: Do I enjoy snow? Absolutely! Your question prompted me to think, why do I enjoy snow? Itself is beautiful. But I think what I enjoy about Canadian weather is the change. You know, snow… the white snowfall, it’s beautiful. And then we go through the winter and by the time March comes along you’re eager for it to end. Having lived in Calgary, Regina, I don’t complain about Ontario winter. I know that it can be much longer, so I look forward to it and then Spring comes in. It’s that seasonal change that I like. I have friends that live in countries like Malaysia, friends who went to UBC with me as graduate students, and they miss that change in weather. In Malaysia it’s constant, nothing changes. B: Have you ever Googled yourself or looked at your Wikipedia page? C: My colleagues help me with that. I don’t spend too much time doing this sort of thing. I’m just too busy, but whenever something comes up they bring it to my attention. B: Do you manage your own Twitter account? So when I’m talking to you, is it you that’s answering? Or is it a mix? C: Good question. Initially when I started it I was a reluctant participant. I didn’t know the value as much. More importantly, people briefed me on what you have to do to make a good use of it. You have to be current, you have to be authentic. I didn’t know that my busy schedule would allow me to do all of that, but over the years I have overcome that. So initially, because I was reluctant, staff used to manage it. You would see that caveat, “Chakma staff”. But what I found was that staff, in spite of their best efforts, they cannot be on time because they are not following me on a day-to-day basis and I go to events that I find exciting and I want to say something. This morning for example. I attended a session with a number of students in physics. They’re simulating rovers landing on Mars. This is real simulation; they have picked a site in Utah and there is actually a model rover there. They are planning the mission and directing it to pick samples and whatnot. I didn’t know what to expect but once I got there I said, “Boy I must share this with my friends on the Twitter world”. I was taking a few pictures with my Blackberry, but I didn’t have to do anything because they were taking my photograph and they were tweeting me and I was thanking them. Staff simply cannot do that. So the long and short of it is now I do it whenever I can. B: If you could take a class at Western which class would you take? C: I will recommend you one, I’m glad you said this to me. I separate class from lectures, these are all venues where we learn. Tomorrow I’m hosting a lecture series, we call it President’s Lecture Series. We have David Bentley. I haven’t attended his lectures, but I know that he is a master teacher. I know him very well and how great a teacher he is so I’m looking forward to it. In terms of your specific question, this term I had the delight and pleasure of attending the lectures I’ll recommend to you. I’m pretty sure he’ll be kind enough to allow you to sit in: Laurence De Looze. B: I’ve actually had a class with him. He’s lovely. C: He’s one of the best. He had 2 sessions on Plato’s Symposium. Unfortunately I missed the first part. I like philosophy. I attended the second part and it was superb. Just superb. B: Yes, he’s really enthusiastic. A really great professor. C: I enjoyed it very much. I’m seeing if I can squeeze one or two more. He gave me a carte blanche for whenever I’m free for time. I’m sure there are many many other wonderful lecturers like him on campus. C: One of the sad parts, and I really regret it because deep inside I’m an academic and in my mind there are certain values that academics hold. You’re part of the family, you’re learning. We continue to learn at a different level. So I react really negatively when people say things that have no basis. We should be driven by truth. You know, research, a search for truth, knowledge. That’s what we do. So it saddens me when I hear that. B: So it’s just a rumour? C: Not only is it a rumour, it’s a false rumour. It’s a false interpretation. It’s always good to ask questions. Before you get the answer, you should not say anything that may or may not be true. It is true that the painting was removed. Why it was removed? Not because we wanted it removed, ok? Have you seen some of the paintings in here? C: First of all, I don’t decide what stays here, Macintosh gallery does. The reason for that is they want to promote all these collections and some of the paintings have donor requirements. So one painting was removed, I didn’t know the reason why it was removed because Macintosh will move things around. It was removed because the donor, a medical doctor who donated it, wanted it to be displayed in the office of the Dean of Medicine. That’s why I didn’t even know that it was removed from outside. They removed it from the front office here to Michael Strong’s office. You can’t dispute the wishes of the donor. B: Alright, thanks for answering. My next question is on a more serious topic. Have you in your student or professional experience ever encountered discrimination? C: I don’t use the word discrimination. I must say one of the other values I hold dearly to—especially when I’m talking to students—if you ask me a question I owe it to you, a straight and honest answer. I don’t actually use the term discrimination because it can imply many things, mostly negative things. So the way I’ll answer your question is that do I feel that I’ve been treated differently? Because of whatever background? And I’ll generalize it. People very quickly will relate my answers to my race, but that’s just one factor. It’s my race, it’s my background, professional or otherwise. Are you from Literature or are you from Law? From Engineering? Those sort of things. There’s a whole list of issues that come into play. Have I been treated differently? Occasionally yes. And, before you draw too many conclusions, this happened oddly in my life. I come from a hill tribe, I come from a Muslim majority country, so that has been part of my life. More to the point, how I feel I’ve been treated differently… believe me I don’t complain, I don’t take issues, just facts of life. Looking here [at the list of questions], you’ve asked me some related questions. Look at the controversy with my compensation. What saddens me is the reporting of it, leave aside the criticisms and whatnot. The reporting… It turns out that many more presidents had exactly the same provisions in their contracts, the primary difference is that my contract got executed in the middle of the term and in other cases it’s sorted of end of term. B: So it gets brushed under the rug? C: I wouldn’t describe it that way. That implies hiding, nothing was hidden. So, the press was that I brought that contract from Waterloo. That’s absolutely true because we had similar contracts. The reason Western accepted that provision of my contract is that Western actually did the same thing for my two predecessors and none of that came up. The London Free Press in 2008 actually ran an article on Paul Davenport. I couldn’t find that article of Paul Davenport, but here’s what I can tell you this is fact, you draw your own conclusions. So Paul Davenport had it. So look at that. Here’s the latest and why I feel I was treated differently by the media. Brescia’s principle actually exercised these provisions in her contract at the end of her first term. She gets a paragraph or two of coverage in the local media. You can google up London Free Press and others and see how much coverage. Exactly the same thing, not the amount, it’s different. C: Do I feel that I was treated differently? Absolutely. Do I complain about it? I don’t like it but that’s life and you move on. I’ll recommend a poem for you… you asked me what book I read and this is related to that. So this is one of the poems, have you read Kipling? In other words, don’t ignore them if they’re doubting you. This was my favourite poem this past December. I chose to send it to my two boys. I have two boys. One is 26, one is just turning 21, so he is fourth year at Western. Obviously my boys probably would have no time for it, but I said to them, “This is a poem your Father likes very much and I try to live up to the spirit of it—try, not always successfully—it has served me well. So someday I hope that you’ll look up (you know, this was a letter I was writing) and enjoy the beauty of the poem”. So because of that I got to deal with these sort of issues, I don’t spend time thinking about it. So returning to the other unfairness if you will, incomplete reporting. Even the judge who wrote the report, I can’t say it in public, was not quite thorough in his work. So the impression was that Western was unique. That’s why I shared with you Paul Davenport. Here’s Peter George of McMaster. My original contract was signed at the time when this was the norm of course things can change. And if you think that’s the only thing, it’s only an Ontario situation, here’s Bishop’s University, Quebec and St. FX, Nova Scotia. So what the board did was not as much out of line as people think it was. So why don’t you talk about it? Because there is no point in talking about it. People will not listen. B: So you just don’t let it bother you? C: I don’t let it bother me to the extent possible. I believe that I should focus on my job and I’m quite happy to let the records stand for themselves, good or bad. I’m happy to be judged by what I’ve done, what I’ve not done, again, good or bad. You just do your best and stay focused. So I hope that addresses your question a little bit less indirectly. B: Sure. Is it true that all approved research grants are industry partnerships? C: Not true at all. I have another one for you. So this is total research dollars that we bring in. This is one of the areas that I am really really worried about and working very hard. So far we haven’t made much progress. We come at number 10 in the country in terms of our research performance using many different measures. So number one, what you see is that we bring in about 240/230 million dollars. A big chunk of it comes from granting councils. So granting councils have the mandate of supporting university-type research, some of them support university industry projects and those sort of things. Most of the industrial projects that come to us, they are not the type of industrial projects that people are typically concerned about, so they will come primarily through our hospitals. For clinical trials for some of those things, medical research is expensive. They generate quite a bit of money for us. So the 240 million that you are looking at, the medical schools and hospitals are generating at least 100 million plus of that money. Do we do industrial research? Absolutely. But it’s not industry imposing anything. It’s not the President or the Vice President or the Deans going after or seeking funding, it’s professors who go and seek those sort of supports and by large all the projects are related to fundamental research, way or the other. We don’t do much research that can be done by private sectors, that is handled elsewhere. But what we have is good policies because sometimes professors don’t have the expertise to protect their interests, so the kind of policy that you’ll have will protect a professor in terms of restrictions of publications. We thrive by disseminating the knowledge that we generate but the professor has the right to accept some restriction on publication if it leads to potential patenting. So we want to make sure our students can still write their theses and so on and so fourth. There are rules. There will be occasions where we will have to decline research funding or for that matter a donation because they are not compliant with our values, our policies. So I would not give you the impression that there are no conflicts, occasionally there will be conflicts. You have to manage them, protect your core values and if they cannot be protected then it’s not ours to touch. B: Is there something that you want people to know about what it’s like to be the President of Western University, something that you think we don’t know? C: So many of what I would say are not misconceptions. The role of the president over the years has changed and because of the way the academy has evolved, not many people appreciate the extent of the change. So 30 years back, one of our former presidents used to spend weeks, I’m told by those who are still here, writing citations to honour doctorate recipients. I have no time to do that. My colleagues write the citations, they read the citations. In those days we didn’t have to spend a lot of time on government relations so we spend really, really a lot of time in government relations. Unfortunately, most of it is really trying to control damages. Bureaucrats make silly decisions here and there, they come up with this requirement, that requirement, all for the good cause but it creates inefficiency. In those days we didn’t have to spend much time raising money. Raising money is something that is important. As challenging as it is, I take it as an important role for us. All those external factors are not appreciated so what the internal committee likes me to do is to do what I did this morning. This morning I visited a display of manuscripts of Einstein put together by our Rotman Institute of Philosophy. I enjoyed it, they enjoyed it, and then I had lunch with one of our professors who won the Polanyi Award, a young professor from the Schulich School of Medicine. I enjoyed it, he enjoyed it. But if this is all that I do then I’m not doing the other parts, so it’s trying to find the balance. The internal committee for very good reasons appreciates and likes to see me attend classes and I like it at a personal level. I don’t like having to go to somebody and beg for money, that’s not the pleasant part of my job, but that’s a necessary component of my job. That’s one of those situations where the roles are not very well understood. And finally I’ll say that people think that if you’re in a need for something you’ll come to me and expect that I’ll solve the problem. If you’re not in a need, if you don’t have any direct need, the last thing you want is for the president to do anything because of governmental process. ‘I want to have a say you know, I don’t want you to do anything,’ but the situation is reversed very quickly, ‘Hey, Mr. President I want this to be done, get it done.’ So how do you manage these sort of things? It’s an interesting tension. It can be managed, but it creates occasional brouhaha. Budget is another example. Budget is just too complicated. I’m a faculty member, as a faculty member I will pay no attention to my budget, period. As long as I’m allowed to do what I need to do, go and teach my students, do my research, I’m fine. So faculty members have no interest in budgets even when they see that committee, they have no interest in budgets. As a result budget is poorly understood. So only people who deal with budgets actually have a good understanding of the budget. There are miscommunications. During good times, when a budget is growing, you don’t have any of these problems. During tough times, the budget is shrinking, all these issues come. People are looking for solutions, solutions are not easy to find and then they blame somebody. So who do you blame? You know the department chair? Your colleague next door? They cannot be the bad people. Ultimately they blame me, but that is part of the job. You can’t complain about it, you try to educate, you try to engage people in a conversation. B: Are you a feminist? C: That implies that I’m in favour of everything that is human, human rights. I’m not giving you a diplomatic answer, I’m giving you a broader answer than that. I don’t like to box people into categories. I have many colleges and friends who can be boxed into some of these groups—feminists. But I know them so well that they are actually humanist. My colleagues who can be labeled as feminists also tend to have great sympathy for our First Nations peoples, great sympathy for people like me, coming from the hills and so on and so fourth. The refugees. So that’s why I brought in the definition of feminist and environmentalist into a more humanist. My definition of humanist includes feminist. I take a great deal of joy in our institution, I don’t talk about it too loudly, the progress that we have made. I don’t dwell in the past because I can’t fix the past, I don’t ignore the past either. So I learn from the past but deal with the present and future. B: Are you familiar with intersectional feminism? C: I don’t know the terms. C: What I can tell you is that I take great delight this institution, with all our history—and we have a history on all sorts of things. A history on gender issues, a history we have with dealing with local Muslim communities and whatnot. I’m not denying that, but I take a great deal of pride in the progress we have made. I’m the first ethnic minority person to be President of Western. I hope that’s not why I was appointed for that, but that’s progress. And it’s this institution that made that step. I had the pleasure of appointing the first female Provost at Western, Janice Deakin. I take pleasure in our success, of the four Vice President’s, three are women, and very distinguished women. I take pride in their accomplishments. Having said all of those things, the reason I don’t brag about these sort of things is that I don’t want to be blamed if two years from now three of the four vice presidents are men. I think we need to go beyond that and say we want the best people, we are going to be open, we are going to reach out, and if we do that, the right things will happen. Fifty-five percent of university population today are women, so if you broaden your reach chances are that 55% of your leadership will comprise of women. B: So you don’t have any opinions in terms of affirmative action? C: Yes and no. Do you need to be proactive? Yes. Do I believe in quotas? I don’t. I’ll give you my reaction to our new government. I actually did not like the commitment the Prime Minister made initially, 50% women. I would have preferred him to make a commitment that, “I’ll appoint as many qualified women ministers as I can”. So that’s step one. When he announced his cabinet, all my reservations disappeared, I was elated. I was delighted. I saw all these qualified women. The reason I had reservations was you just don’t know who is going to get elected. I want our government to be run by competent people and of course to be inclusive. I think the Prime Minister did a fabulous job putting together the cabinet. He will still be criticized, you only have so many cabinet members. This is something I don’t subscribe to, is it representative enough? It’s never going to be perfect. There are too many different groups. I think the answer is yes on the ministers, based on what I read. Are they qualified? They are and I’m glad he found half of the cabinet to comprise of qualified women. I hope that gives you a sense of where I stand. No quotas, but being proactive. I don’t mind targets. I’m probably not giving you a straight forward answer. UBC Faculty of Engineering, my Alma Mater, declared that by 2030 I think, I’m not sure of the timeline, that they will try to get 50% female students. I like that. I won’t complain if they don’t reach the target, it’s a target, not a quota. It can be 55% or 60%, it’s the target as the aspirational goal. I’m all for that. B: Many students come to Western expecting to have the “best student experience” but are disappointed when the promise of diversity is not met. What would you say to those students? C: Elaborate that a bit more. Because I don’t know if I necessarily agree with that statement, the promise of diversity has not been bad. B: I’m not sure if you’ve ever attended any of the club meetings on campus in regards to ethnicity or religious groups, but some of the meetings comprise of students relieving themselves of these pressures that they face. They will talk about their student experience and many of the stories are quite sad. You and I were talking on Twitter about an experience that a friend of mine had. C: I don’t have personal experience at that level, but I do believe that some of the issues that you have raised, they are real. And the reason they are real is that we are a reflection of the society that we live in. We are a reflection of Canada, we are a reflection of London. The changes that we are seeking, they are cultural changes, they take time. I don’t measure our progress by absolute targets we have achieved, I measure our progress by seeing progress. I believe that Western in 2015 is a lot more welcoming to those diverse groups than the Western that I cam to in 2009 and I feel good about it because we are making progress. My prediction is that Western of 2020, five years from now, will be even more diverse. A lot of it is raising awareness.We just went through International Week. Why do you think this university only had less than 3% international students in 2008? You can speculate… At a minimum, I’m convinced that this university has not made it a priority, whatever their reasons were… we can speculate. I made it a priority. It creates challenges, some of the challenges that you have been describing, but still, we are making progress. I did not expect that this university would have made as much progress as we have made. There is growing pain. The same thing with First Nations students, we have made huge progress, we have doubled their numbers, and I’m happy about that. It’s the journey, it will take some more time. It’s a matter of creating critical mass. So 3%, 100 students, three international, we just don’t have enough critical mass for that interaction, so now that we have 10% we’ve created opportunity. Guess where Toronto is? 20%. Guess where McGill is now? 30%. UBC, 24%. I think it’s simply a matter of time before you see more progress. Will it ever be a perfect world? I don’t think so. University College London, 40% international students, including Europeans. University College London is one of those great universities. In the ‘good old days’, Oxford and Cambridge would not admit women, they would not admit non-Protestant. University College London was created (it was actually nicknamed the Godless University) to be a secular institution. It admitted the first women in the UK. Way back then, Ghandi, India’s Ghandi, studied law there. Terrible experience with his professors. Once he sat down in a dining room, he was of course a unique individual, so he deliberately decided to sit next to a professor who was clearly a racist. So the professor objected to him, there was a terse exchange between the two. So look at the progress that institution has made. B: But what about students who might not be able to or want to take a class that helps them understand. Right now I’m taking a class on Race and Ethnicity and we talk a lot about this kind of content. How do you reach out to students who probably don’t talk about it at home? They might not be engaging with this kind of content via the news or social media, or anything like that. They are never exposed, they go through school, they graduate from Western, and they still hold troublesome values. C: What responsibility do we have? Curriculums are curriculums. I don’t have direct influence on them. If I had the authority, if I was the benevolent dictator of this place, if I could just order something and it would happen, I would have a mandatory orientation session for students: University of Western 101. Not just on these matters but on many other things, interdisciplinarity and whatnot, your civic responsibility… So while we are picking on one segment of our student body who, for family, cultural and other reasons may not be as aware, the same can be said about international students. Some of them come here, particularly some who come from a particular country… They kind of segregate themselves. There is something to be done there as well, so I’ll do that. Second thing I would do, with that sort of authority, I would make sure that all faculty members go through mandatory teaching and performance type of courses. I don’t have this authority. So what we do—that doesn’t mean that we don’t do anything—so what we have is the capacity and opportunity to encourage, cajole, entice people. Teaching does that and these orientations do that, eventually we will overcome. The sad part about some of the students as awful as some of their behavior may be, I worry more about their future than anything else. They will have difficulties realizing their full potential because of some of their shortcomings. I hope that if we have not found enough of an opportunity to educate them here, I would hope that there will be other lifelong opportunities, life experiences. If you asked me at age 56, how much is it that I have learned at school? How much of it have I learned through my life experience? I would say that I have learned more from my life experience than I did at school. It’s not the end of the process, I’m not prepared to condemn those hopeless. They will actually learn along the way but anything we can do to help them in the process is help. Two things that we are doing as a priority, one is bringing more international students. The moment you are exposed to them, ask them. Are you from London? B: No, but I’m Canadian. I’m from a couple hours away from here. C: If you actually look at our campus ten years back from now. The campus is very diverse, not just international students, the population has changed. So that has to have an impact, more positive and negative. Some people don’t like it, you and I know that. But, eventually it will have an impact. We are bringing students to create an international environment to help learn in the process, but we’re also trying to send our students overseas. It really doesn’t matter where you go, even if you go to Ireland or England, it’s still a new environment, you get exposed to different kinds of things. As we do more and more of those, we’ll continue to make that progress. B: So you say that international students segregate themselves, but I think it might be the opposite. I find that many people avoid situations with international students. It’s a two-pronged problem maybe… I’m wondering, when you came to school in Canada did you find yourself in that situation? C: Yes and no. It goes both ways right? You can’t just say one side. When I came, unknown and exploring, the university I came to, UBC, had wonderful programs to support people like me and we are not quite at that level as yet, I don’t know how far UBC has moved, but even in 1982 when I arrived they had good support systems. They had an international house, so I show up because I don’t know anybody, and they send me a package, a “Welcome”. The director, I still remember his name. That’s important, you see how much impact he had on me? I couldn’t give you the names of many people I met along the way. Mr. Rory McBlane, he says, in his letter, “Drop by, come and see me when you come to campus.” I thought that was a welcome invitation, a personal touch. So I did go and report to him once I settled down. He says, “Mr. Chakma, I want you to apply for this program called Penticton Trip.” I had no clue what that was all about and I asked him, “What is this all about?” he says, “Just go and fill out the form and then come and see me.” So I filled out the form and I said, “Sir, yes, sir, I applied.” I was a very polite student. Then he explained, “Very good that you applied and you’ll be selected.” And I said, “How do you know?” He said, “Well here is a program organized by Rotarians of North Vancouver and Rotarians of Penticton.” So a host family picked me up and 49 other international students. 50 international students from 50 different countries. Mr. McBlane knew that I was the only student from Bangladesh who registered so therefore if I just filled out the form I would be selected. They drove us from Vancouver to Penticton and another Rotarian family hosted us. Now I’ve been hosted by 2 families—1 student, 2 families. That’s just one way of answering your question. If I had not been given that opportunity, would I have felt that way? I’m not quite sure. Some of the things that you’re talking about is closed community, that’s the reputation of London. I don’t think it has anything to do with ethnicity or anything like that, so this would be a typical social arrangement for smaller communities whether they are in the Maritimes or in the Prairies or they’re in London. It’s just how societies behave. You get that comfort level. I was telling you about my town, 5000 people, guess what? Students who came to study with us from the villages, they had exactly the same problem breaking into… It’s not that we are discriminating, it’s just that we had our own friends. B: So you said that poem is something you read regularly, is there a book that you’ve read recently for fun? C: I’ll recommend this book [How to Live Without Fear and Worry by K. Dhammananda]. This has a little bit of religious connotation, but it’s not really a religious book. I’m not quite sure that I practice religion but I was born into a Buddhist family. This is a compilation of a philosophical book by a Buddhist monk and if you’re interested, you can give me your e-mail address and I can give you the PDF. The title of the book, is something that will tell you what I read. Nothing to do with the challenges that I face. I’ve been reading this book for the last 12 plus years. So, How to Live without Fear and Worry, it’s about ‘why would you even worry about it’? Life is complicated, so sometimes you need some moral compass to guide you. When you have problems, doesn’t matter what it is, personal, professional… The philosophy goes something like this (I’ve practiced it, it’s difficult, I have not perfected it, but I’ve become better at it), ‘if there is something you can do, don’t worry, do’. I’ll give you some examples… ‘Or it is entirely possible that there is nothing you can do?’ My younger sister died, there was nothing we could do. You can cry, you can do all of those things but it doesn’t help. Children grow up. Our older boy… Do you have siblings? C: The oldest, so have a chat with your parents and see how they feel. When our oldest boy left home, it was tough for us to adjust, but we had no choice but to adjust. So because of these certain teachings, I was able to give moral support to my wife. Mother and son and the months… it was more emotional. It was tougher for her. The support I provided for her, we actually managed it very well. So those sort of things are something you can do. I actually try to follow that teaching. If I can do something, if there is a problem, we’ll fix it. Coming out of the consultation process that I went through, there are gaps in our support for humanities and social sciences research. I said “Great, I understand the gap and we can do something about it”, and we are doing something about it. We have a taskforce working on it, we just want some money. There are other problems, budget problems, we don’t have enough money, that’s a long term problem. I’m not deviating from our long term plan of diversifying our resources so that we don’t rely as much on provincial funding which is going down. That’s the long term plan, but in the mean time there’s not really much I can do. So in this book, you can see the connections, that poem is part of it. It’s has lots of things that help you deal. Here’s one chapter, “Dealing with Enemies (I don’t like the term Enemies) and Criticisms”, a subsection of that, a mirror of the mind and how you can control the mind. Picking faults in others, in other words, don’t look for faults in others. What to do when criticized… very practical. It so happens that I read it last weekend. B: -Our vision in terms of a becoming a research-intensive university with global recognition. I’m wondering where you see FIMS fitting in that vision and what do you think FIMS students can contribute to the world? C: So let me start with students. One of the strengths of FIMS, and I’ll generalize it, of Western is the quality of undergraduate programs are second to none. I have no hesitation in making that claim. The second advantage we have is the entire campus community is dedicated towards teaching, educating, so that’s great, these are cultural things, either you have it or you don’t, it’s difficult to build this up. So based on that strength we attract top people, top students, and I like the MIT program particularly because you preserve the core elements of liberal education. People call it liberal arts, but I think that we do it a disservice when we put boundaries. In my mind, university education is all about opening minds. If we are successful in opening the minds of our students, job done. Of course, you have some structures. I think we should all be driven by that… being liberal, keeping an open mind. The MIT program does that and yet it relates to the current trends like technology and social media, so as a result we attract unique students to that program who tend to do very well. When people say, “Does your job relate to your studies?”… what a silly question, how do you make that connection? How do you explain somebody studying history becoming a Deputy Minister of Finance? History of finance? That’s not the point. The point is the foundational part. How do you explain a chemical engineer dealing with budgets and whatnot? What I do has nothing to do with my chemical engineering education but it does still have to do with the intrinsic value of education. The ability to analyze situations critically. Students are our biggest assets at Western and in return I have to be careful with what I say because my faculty colleagues may take issue with that—our alumni are our products. I get criticized for all the celebratory posters that we have, celebrating our alumni from our faculty, occasionally they come around. A faculty member, 7 years retired, I was having lunch with him and he said “Finally I have reluctantly accepted why you do that.” I said, “That’s not for me,” and he says, “That’s precisely the point”. Those pictures are for our students, not our alumni, so they get inspired, “They are not for you professor”. So that’s the strength part, what can they do? They can do many things. I’ll generalize what Western students can do, I begin with the proposition that you are very privileged. Just look at 7 billion people around the world, what percentage of your age cohort has access to university education? Small. Narrow it down, what percentage of those who go to universities have access to high quality education that Western provides? I didn’t have access to that, but you do, my son does. So with that privilege you own that privilege, because of your intellect, your hard work, your scholarship. At least know that all of you are really talented people, the crème de la creme if you will. You have the possibility of making a difference in whatever you do, doesn’t matter what it is. You have the difference of making a difference. You have the possibility to make it anywhere, and that elevates my conversation to leadership. You are our leaders, you can make a difference and make the best of it. Change the world in your own way. Whether it’s participating in political work or voluntary work, becoming a fine medical doctor or becoming a fine journalist. So FIMS has a journalist program, soon after I came they asked, ‘What can we do?’ I said I lament the fact that we don’t have serious journalism in this country anymore. Let me take you back to that, [indicated printouts], that’s not being reported, that’s not serious journalism. I want journalists, we have a few of them, who deal with important issues that we are facing, the Syrian refugee crisis, the world, the environment… When I look at the election coverage, you can blame political parties for not talking about those important issues, but the media didn’t bring this up either. We don’t have serious newspapers anymore, a business model is part of it because they have to sell newspapers but guess what? We now have social media that empowers citizens. This Twitter is so handy, I was following another former Liberal Mininster from Vancouver Mr. Dosanjh, a premier of British Columbia. He challenged Kathleen Wynn. Dosanjh is of the view that, yes we want to bring 25,000 Syrian refugees, maybe even more, but no to this timeline. I don’t accept this timeline either, I think we do our best, get as many as we can and maybe even more, but no artificial timeline because we have to do the process right. Kathleen Wynn apparently somewhere said these are xenophobic racist people, Dosanjh is now writing ‘Premier Wynn, you call me xenophobic?’ Of course he’s not, and I’m not debating that issue, I’m saying former Premier Dosnajh now has the capacity to talk through social media. You can bypass the traditional media, that’s leadership. I’m proud of some of the journalists that this university has educated. Paul Wells is a graduate, but not a graduate of our journalism program, but a fine commentator, well-balanced, non-partisan… Do you read Paul Wells? Macleans magazine, try him out. K: You have a call coming in 2 minutes. C: Time is up! My advice to you is don’t box yourself into your faculty, faulty is just a place holder for you. You are a Western graduate, you are a citizen of this country, a global citizen. I don’t think of myself as a chemical engineer, I just think that I’m part of this broader humanity. I’m a proud Canadian, but if there will ever be this United Nations passport, I’ll be the first one to line up, even if it is a symbolic one. I really feel that I am a global citizen and I have an obligation to do what I can in my life time to make our world a better place. B: Ok, thank you very much for your time.